Jim Crowley was prominent figure in Boston athletics for over three decades. As a student at East Boston High School, he scored 94 points in a single game, a figure beyond comprehension in an era when most teams didn’t score more than twenty points in a game. 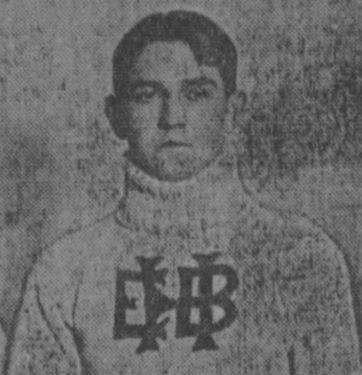 Crowley played with the Boston Athletic Association, a powerful independent team, for ten years. Crowley received a two-year degree from the the Posse-Nissen School of Physical Education. He later was the Associate Director of Physical Education in the Boston School System for many years. In 1935, at age 47, Crowley committed suicide. James Henry Crowley Born: Jan 5, 1988 Died: Feb 7, 1935 Hometown: East Boston, Ma.